Some runners that are of interest to the stable over the next few days. She is a half sister to the Horse with Bryan Guy on the Gold Coast http://guyracing.com.au/horse/clustergrandmanners Grand Manners is at the farm and in foal to Wolf Cry. 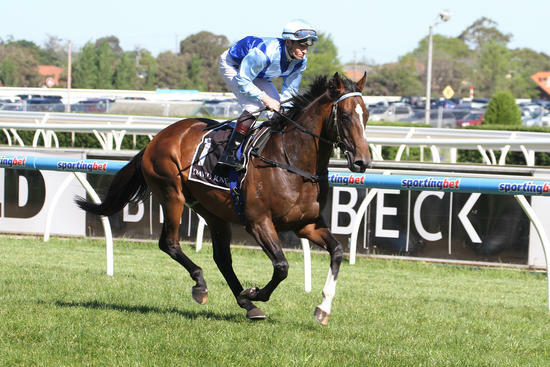 Position Ex has a 2yo colt by O'Lonhro, a yearling colt by Cluster and is currently in foal to Wolf Cry. Knightsbridge Bloodstock is a racing and breeding enterprise based in Australia, Asia, USA and the Middle East with clients and affiliations worldwide . Headed up by Asian entrepreneurs Issaree Suwunnavid and John Heffernan the goal is to maximize the ROI for clients, whether they are buying in to one of the horses or buying an entire horse their goal is a happy customer who has turned a profit from their racing or breeding endeavor. Should you be looking for professional and independent guidance with your thoroughbred breeding or racing portfolio, or you are someone who is new to the industry, please feel free to contact us for an obligation free discussion on how we may be able to assist.